Blood thinners are often used in the prevention of strokes. If you have already had a stroke or a TIA, there is a chance that you need to take a blood thinner. Strokes and TIAs are among the strongest risk factors for having another stroke. In fact, about 30% of all strokes are repeat strokes, making stroke prevention particularly important for stroke and TIA survivors. Here is a list of the blood thinners most commonly used for stroke prevention, as well as some of their side effects. Aggrenox is a combination of aspirin and extended-release dipyridamole. Headaches are the most common side effect reported with Aggrenox. Other common side effects include abdominal pain, indigestion, and diarrhea. What to watch out for: You should stop taking Aggrenox and go to your doctor or to an emergency room if you notice black or tarry-appearing stools, as this is a sign of intestinal bleeding, which may rapidly progress to a medical emergency. Aspirin is a blood thinner that can prevent stroke if you have certain risk factors. Aspirin can irritate the stomach and intestines and may cause indigestion, nausea, and vomiting. The “enteric coated,” or EC, a form of aspirin is gentler on the digestive system and produces milder side effects. Other less common side effects of aspirin include difficulty breathing and intestinal bleeding. What to watch out for: If you notice black or tarry-looking stools, this is a sign of stomach bleeding or intestinal bleeding, and should prompt you to seek medical attention You should also get urgent medical attention if you develop difficulty breathing while on aspirin. Aspirin is not recommended for children because it may cause children to develop a serious and often fatal reaction called Reye’s Syndrome. Also known as warfarin, this medication is used to prevent strokes for those who have heart diseases such as atrial fibrillation or heart valve problems and for those who suffer from blood clotting disorders. Coumadin can cause serious bleeding. If you are taking Coumadin, you need to have routine blood testing to monitor your International Normalized Ratio (INR.) This is an international measure of blood clotting which attributes a value of 1.0 to normal blood clotting function. As the INR increases, it reflects that a person is less likely to form blood clots. Patients with atrial fibrillation must maintain an INR of 2-3 in order to effectively decrease the risk of stroke. Coumadin works by counteracting vitamin K, which is a vitamin that aids in blood clotting. As coumadin counteracts vitamin K, it reduces blood clotting. If you are taking Coumadin, it is necessary to monitor your intake of foods that are rich in vitamin K. Consuming too much vitamin K can counteract the effects of coumadin, canceling its stroke prevention action. Some foods with high vitamin K content include spinach, lettuce, alfalfa sprouts, asparagus, broccoli, cauliflower, and cabbage. Doctors recommend that you eat the same amount of vitamin K every day in order to maintain a steady level of vitamin K in your body. What to watch out for: By far the most common side effect of Coumadin is abnormal, and sometimes profuse, bleeding. The bleeding is most likely to occur inside the eye or in the intestines, however, bleeding and easy bruising can occur anywhere in the body, including the brain. If you take Coumadin, you must remember to monitor your stool color and seek medical attention if stools become black or tarry-appearing. Heparin is usually given in the hospital. Heparin has to be taken intravenously (IV) by injection directly into a blood vessel. Heparin is used to prevent blood clot formation and to enhance the body’s ability to break down existing blood clots. For heparin to work safely, blood levels must be checked periodically in order to make sure that heparin levels fall within a safe margin. The blood test performed to do this is called the partial thromboplastin time (PTT.) The main side effects of heparin are bleeding and easy bruising. Irritation at the site of the IV can also occur. In some rare instances, heparin can cause an allergic reaction. What to watch out for: The most common and dangerous side effect of heparin is abnormal bleeding. Therefore, you must be on the lookout for black stools, which reflect intestinal bleeding, or for orange, pinkish or smoke-colored urine, as this is a sign of blood in the urine. Lovenox also called enoxaparin, is a form of heparin called fractionated heparin. Lovenox does not require monitoring of blood levels and it can be injected intramuscularly. People with chronic kidney disease should not use Lovenox, as poor kidney function allows Lovenox to accumulate in the blood. The side effects of Lovenox include nausea and skin irritation at the site of injection. What to watch out for: Rarely, people develop an allergic reaction to Lovenox and develop a rash. If severe, the reaction can cause swelling on the hands and lips, and difficulty breathing. If you develop any of these symptoms while on Lovenox you should seek urgent medical attention. Like the other blood thinners, Lovenox can cause bruising and bleeding. Common side effects of Plavix include stomach pain, muscle aches, dizziness, and headache. Easy bruising and nose bleeds can also occur. People who have stomach ulcers might develop intestinal bleeding, which can be life-threatening. What to watch out for: If you notice black or tarry-looking stools, this is a sign of intestinal bleeding. This and any other forms of abnormal bleeding should prompt you to seek urgent medical attention. Blood thinners are among the most effective means of preventing a stroke. However, all blood thinners are known to have potential side effects, even over the counter blood thinners. While you are taking blood thinners, it is important that you are able to recognize the side effects. 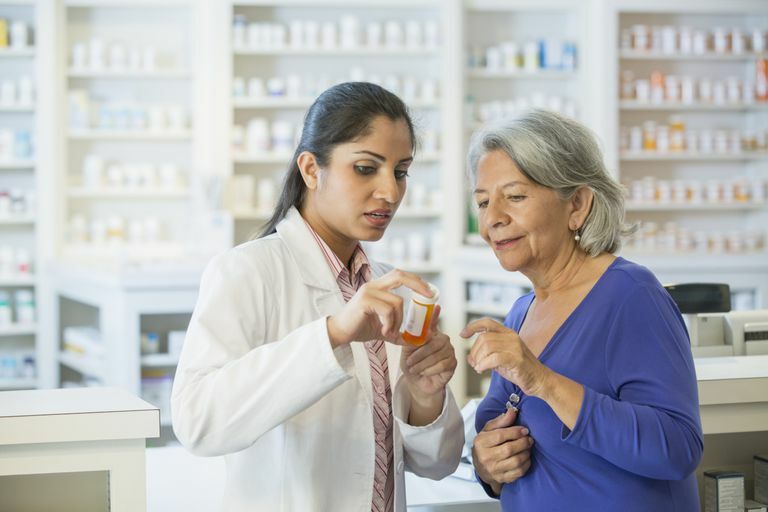 If you think you might be experiencing any side effects of the blood thinner you are taking, you should contact your health care provider, who will provide you with instructions on the next steps you should take. Effectiveness and safety of reduced dose non-vitamin K antagonist oral anticoagulants and warfarin in patients with atrial fibrillation: propensity weighted nationwide cohort study, Nielsen PB, Skjøth F Søgaard M Kjældgaard JN, Lip GY Larsen TB, BMJ. 2017 Feb 10;356:j510. doi: 10.1136/bmj.j510. What Does a Vascular Neurologist Do?